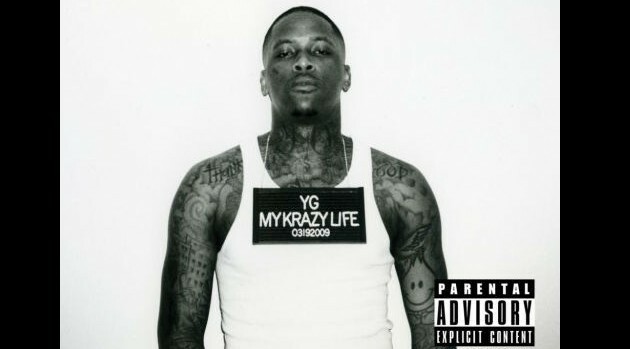 Def JamYG has released the track list and cover for his debut album, My Krazy Life, which arrives next month. The rapper appears stone-faced in a black-and-white mug shot that doubles as the official artwork for his long-awaited disc, which includes contributions from ScHoolboy Q, Jay Rock, Kendrick Lamar, Drake, Ty Dolla $ign, Jeezy, Rich Homie Quan and others. My Krazy Life will be available in stores and online on March 18 via Def Jam Records.